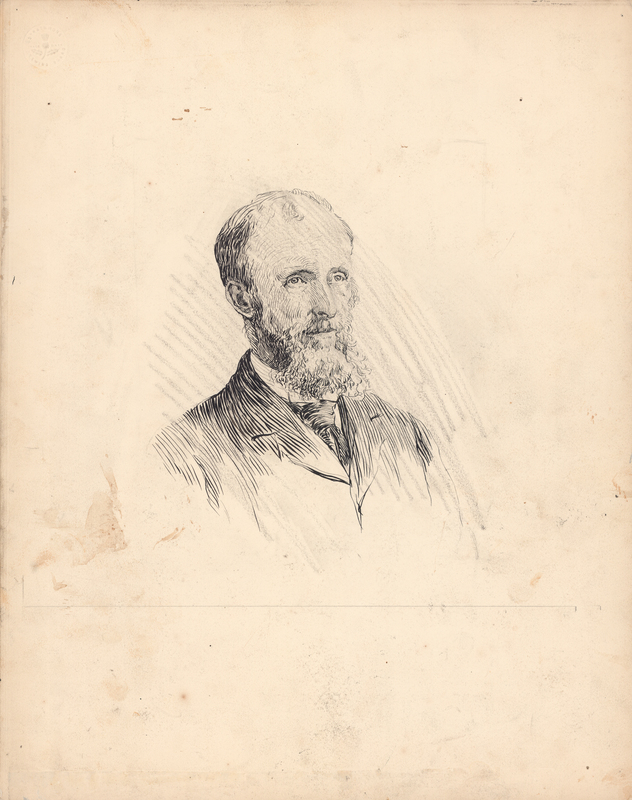 Part is an unfinished Arthur Lismer pen and ink portrait of John Johnson, professor of classics from 1863–1894. The finished version of the drawing, commissioned for One hundred years of Dalhousie, 1818–1918 (1920) and reproduced in D.C. Harvey, An introduction to the history of Dalhousie University (1938), is found in 0000-091, Box 1, Folder 10, Item 2. On the reverse is Lismer's drawing of the fireplace in the main reading room of the Macdonald Memorial Library. Part is considerably smudged and stained.